for digital marketers and lecturers. Dynamic roles should play important role in business and marketing animation videos. 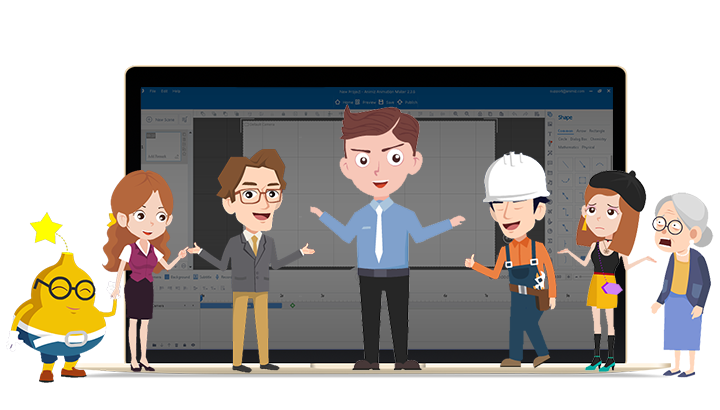 Animiz provides hundreds of animated roles for you to choose to add into the project. It is so common to combine the callout and dynamic roles together to make a role-play dialogue in Animiz. This is an intuitional way the show audiences the contents. And attract audiences in the first time also keep their attention. 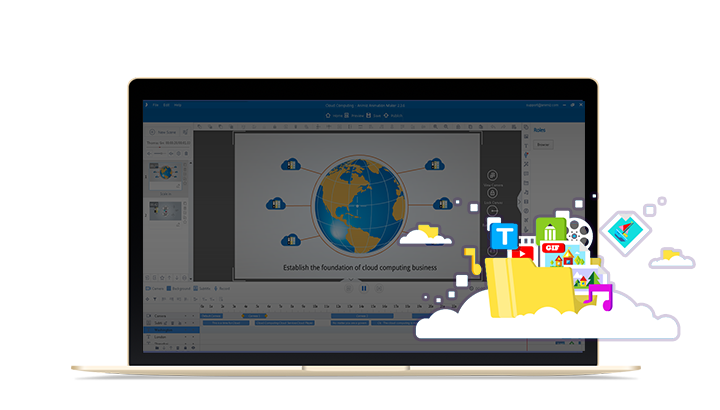 There are 10 kinds of built-in charts templates (bar chart, dot chart, pie chart, stacking chart, etc)) available for you to choose and add into your marketing video. You are allowed to customize the charts with your own data and design the appearance of the charts like color and text font. 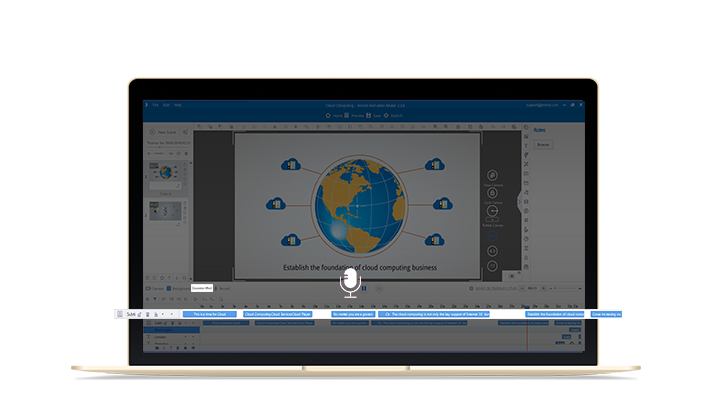 Charts added help to express your ideas better than just text and make your video be more logical. The final step of making your animation video is to share and distribute it online. Firstly, you can for sure publish the project as the video or GIF formats. Furthermore, publishing it to cloud is the fastest way to make it spread online. Give your video the title, category, keywords and description so that it can be searched as fast as possible. Share the video around to get more audiences.